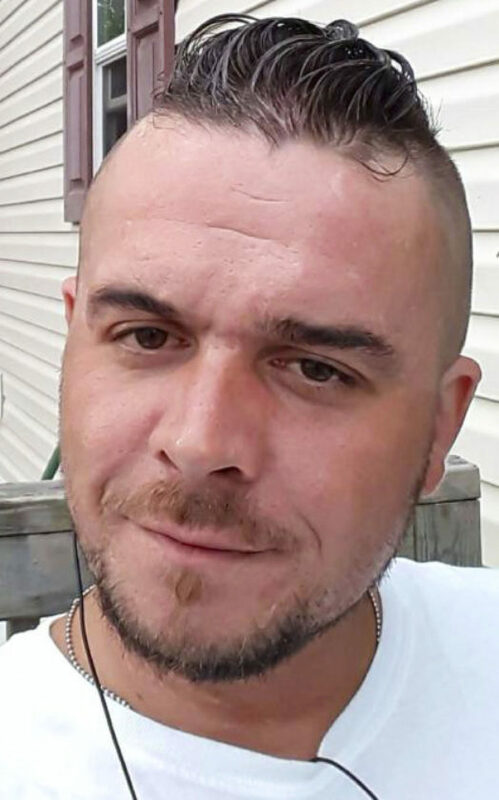 Aaron L. Green, 33, of Silver Creek, NY died unexpectedly on Saturday evening, September 1, 2018, at the TLC/ Lakeshore Hospital in Irving, NY. He was born on November 19, 1984 in Buffalo, NY, the son of Mark Green and Linda Fox. Surviving are his parents, Mark (Jane) Green of Clarence, NY and Linda Fox of Silver Creek; a daughter Milena Green of Silver Creek; two brothers Matthew Hillman of Lakeview, NY and Nicholas M. Green of Clarence; a sister Samantha M. Green of Clarence; his paternal grandmother Mary Jane Green of Marilla, NY; also two nephews Matthew M. Hillman Jr. and Easton E. Hillman. He was preceded in death by his paternal grandfather Joseph Green Jr. and his maternal grandparents, Gene and Cindy Fox. Aaron was the owner and operator of Green Lite Enterprise. A construction company that he started on his own and was very proud of. In his free time he enjoyed writing poetry and spending time with his family and friends. Friends may call at the Hole-Parker Funeral Chapel 160 Central Ave. Silver Creek on Tuesday, September 11, 2018 from 3 p.m. until the time of services at 6 p.m., burial will be private.